This is the craziest muffin of them all! It’s absolutely bananas, completely nuts! Off the wall-nuts! 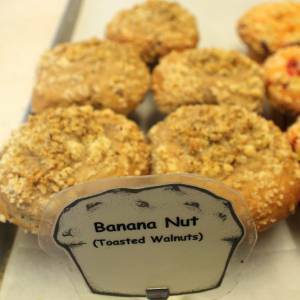 We’re not bluffin’ about this muffin. Take a bite and see if you don’t turn yellow and fall in love with Art Nouveau. Or see sunflowers like Vincent Van Gogh.